First of all, on Monday, my off-day, I managed to get a lot accomplished. I went to the bank, to the Toyota dealership to get windshield wiper inserts (you can only get them there since the front wipers are so large), and also to Staunton Mall for shoes. I had said before that I was going to make my Airwalks last through A16 before I replaced them. A16 was about nine days past when I went shoe shopping. Now do you remember a few weeks ago, in the April 15 Journal entry, which is six entries above this one (if you’re reading this on the archived page) or below this one (if you’re reading this on the Journal main page), when I tried on the Chucks while I was down in Blacksburg? 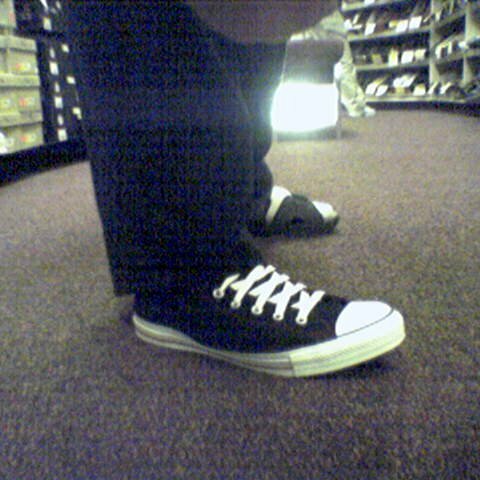 Well, I looked at the photo that I took with the cell phone from that time, and decided to give the Chucks another try-on. So I tried them, and what do you know – I liked them! I ended up getting myself a pair, though I didn’t like that I couldn’t lace them all the way up. So this led me on a bit of a wild goose-chase around Staunton. In pursuit of long enough shoelaces (the Chucks came with 63″ laces, which only left an inch on each end when laced to the top – I needed 72″ laces), I went to Super Shoes, Wal-Mart, Athletic Annex, Hibbett Sporting Goods, A&N, and even Claire’s (it was a long-shot). After all of them, I came up empty handed. So I had my too-short laces, and figured out how to make them work for now. I looked at a file photo from the Million Worker March of a person wearing Chucks, and laced them that way. I ultimately found the long laces I needed online, at a place called The ChucksConnection. They are currently in transit. Once they show up, I’ll lace all the way up. First of all, I have survived seven consecutive days of Wally World and made it to a day off – that is an accomplishment! And after those seven days, after going to bed last night, you know who appeared in my dream? Mecca Marsh, whom, you may recall, was my hall director all three years in Potomac. And in this case, the situation was amicable, unlike the last time Mecca appeared in my dream. This time, it was a chance encounter in a shopping mall, and it was a meet-and-catch-up affair. And a quick one, as both of us were in a hurry in this dream. All in all, very strange. Though it has been two years since Mecca and I last saw each other (and hasn’t it been pleasant? ), so catching up would be in order if we ever ran into each other. Still, weird. How this dream got formed, I shall never know. It seems I can always find a way to make fun of the cigarette register at Wal-Mart (where the customers can’t hear me, of course). I had the term “vice counter” back a few weeks ago, and now I’ve got a new one. I hold up two fingers as if holding a cigarette, and then in my best lifetime-of-smoking voice, say the slogan for a cigarette brand. It really cracks people up, and makes people laugh OUT LOUD when I do that voice. The things I come up with… it even surprises me sometimes. I still don’t understand how I managed to get a screw lodged in my tire on Tuesday. I must have run over it somewhere between Wal-Mart and home on Tuesday, since the tire was in good shape when I went to work on Tuesday, and it was in good shape when I left work on Tuesday. And I had no problems on the ride home. Then on Wednesday morning leaving for work, the tire was deflated. So we ended up rearranging the cars in the driveway, and I took Sis’s car to work. Her car has air conditioning. My car, you see, had air conditioning at one time. It no longer works, along with a whole bunch of other things on that car. Once I find a real job in DC, getting a new, smaller car is on my list of priorities. Still, on my lunch break today, I took the car around to Tire and Lube Express (TLE), and I picked it up after work. I got a new tire on it, and so now the car is happy again. It was also nice to not have to walk practically halfway across town to get to my car after work, which is where associates normally park for work. I just paid for my tire and then slipped out through TLE. Meanwhile, one of my coworkers told me on Tuesday that I was driving slowly coming to work. And this on a day when I was pushing it on speed. Thus now we have nicknames for each other. I say, “Hey, speedy!” and they say, “Hey, slowpoke!” I’m just tickled by the whole thing, since I was in a hurry that particular morning that I got told I was driving slowly. So all in all, life is interesting. I learned about this just moments after putting out the Journal entry about A16, where I discussed, among other things, “corporate welfare”. As long as the Nationals actually pay for the extra service that their events require, I’m satisfied. Though that will evaporate if the Nationals don’t pony up the funds, since all that this move does is take the cost of extra service out of Metro’s hands and move it to the DC Sports Commission, which is also a governmental agency – an independent agency under the DC government, but a government agency nonetheless. And I’m not particularly fond of tax dollars going to subsidize professional sports. I’m all for the Nationals, as long as DC doesn’t sell its soul for them. A16… and what a day it was! April 16, 2005 was definitely an interesting day for all involved. It was on this day that a large demonstration against the World Bank and International Monetary Fund was planned. As is the usual case with days that I go to big demonstrations, I fit the trip into the framework of my regular trips to Washington DC that I make every two weeks or so. The big difference on this trip, though, was that I took my sister with me. I normally don’t take anyone with me when I go on my DC trips. It’s just me. Last time I took anyone to DC with me was when Mom and Sis and I went to Washington DC on August 9, 2003, when we did my A Day in DC photo set. Since then, I’d met both Dad and Mom on trips to Washington DC in April 2004 and July 2004 respectively, but since our agendas were so different, each made their way up to DC separately. While I was out yesterday, I tried on a pair of classic Converse “Chuck Taylor” shoes (aka “Chucks”) to see how they would look on me, since my Airwalks now sport a growing hole on the side of the right shoe. Plus considering that Airwalk has discontinued their shoe line, it’s time to move on from them. So I tried on the left shoe from a pair of Chucks to see how they look. I couldn’t decide what I think, so I decided to let the jury decide. Thus this Journal entry, with the cell phone picture taken off a mirror. They do feel pretty good, though I don’t know about these. I could go either way, I think. Still, you have to admit that these shoes are classics. 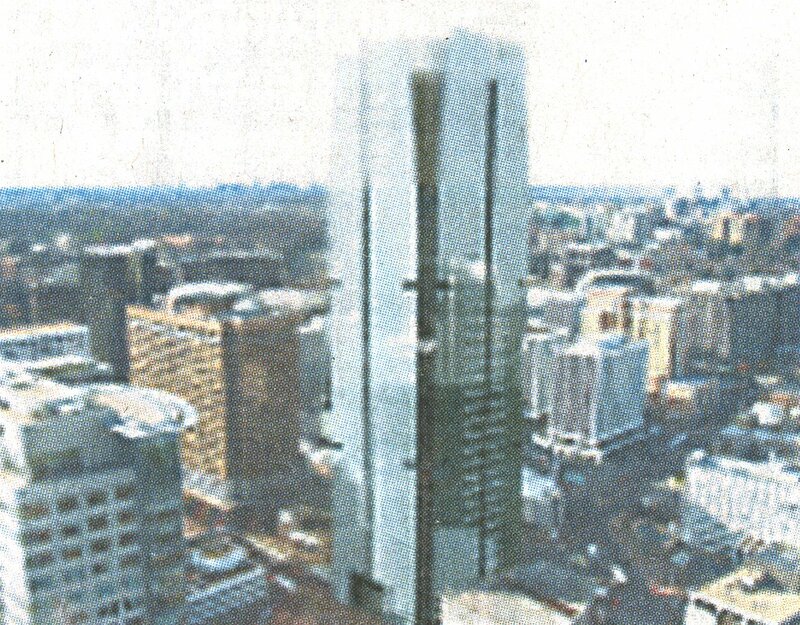 A proposed new high-rise in Rosslyn, making a dramatic new skyline, and eliminating a frightfully ugly building… and right next to my Rosslyn hangout! In the April 13, 2005 issue of the Washington Post, I found this article about a new high-rise proposed for Rosslyn. This high-rise is significant because it would rise to 484 feet, which is an unknown height for Rosslyn. Currently, the tallest towers in Rosslyn top out at around 300 feet. So this one would certainly be a head above the rest. The proposed location, based on artists’ conceptions, places the building right next to Rosslyn Center. Cashier Ben – phone call from customer – friendliest associate in store – would wait in his line no matter how long. That absolutely made my day, you know that? That put the spring in my step, and I was just tickled pink. It’s always good to know that someone appreciates you. Interestingly enough, a post made on Metroriders made me think about something that I noticed when Katie and I went to Lynchburg and Roanoke last Wednesday. First of all, the post is here. Now… so you know the background information, the unwritten rule of etiquette on Metro escalators is to stand to the right, and walk to the left. Tourists in DC are the biggest violators of this bit of Metro etiquette, though we will cut them a little (very little) bit of slack for being from out of town and not knowing DC Metro etiquette. But if you ride Metro, if you’re just riding the escalators, stand on the right side so that those walking the escalators can pass you. I realized that I had internalized the unwritten “stand to the right” rule when Katie and I were at Valley View Mall in Roanoke. Valley View Mall is a two-story mall, and several sets of escalators link the two levels. I got on the escalator first, and immediately found the right side of the escalator without even thinking about it. Katie, on the other hand, kind of stood wherever. She’s never ridden the Metro before, so she’s never needed to put “stand to the right” into practice. Still, when I saw Katie standing in the middle-to-left part of the escalator, I encouraged her to stand to the right because that’s what you’re supposed to do on the escalator. Then I realized where I was. I wasn’t in Washington. I was in Roanoke, and more than 300 miles from a Metro station. Still, I stood to the right nonetheless. It made me feel better. And remember – if ever you go to Washington DC, stand to the right and walk to the left on the escalators, or you’ll leave some very aggravated Metro riders in your wake. Today was a Monday, and there was no mistaking it for anything else but a Monday. Now I know why Garfield hates Mondays so much. This particular Monday seemed out to get me. Two significant occurrences happened today. The first was my shoes. Now, since it’s gotten warmer out, I’ve switched from the Airwalks to some Faded Glory sandals, which I normally wear with socks. Today, I was wearing the sandals. And a piece that holds the top of the sandal together near the toe gave out as I was going to my break. Thankfully, that had an easy quick fix, and an easy permanent solution. The quick fix was to borrow some tape from the bike assemblers. My coworkers suggested duct tape to fix it. I couldn’t find any. So I used masking tape. It held until my lunch break, when I could make a permanent fix. On my lunch, I got another pair exactly like them off the shelf and exchanged them. Problem solved. Hopefully that first pair was just a fluke, and that these will go the distance. The second thing to go wrong involved the bag spinners at the cash registers and a gallon of milk. I guesstimated how much space I had on top of my spinner, and was wrong. Thus I accidentally shoved a gallon of milk off the top of it, where it bounced off the bottom of the spinner, and then hit the floor. There, the container was compromised, sending milk all over the floor. Thankfully, it was a slow day, plus it spilled into an open area, and so no one was hurt, and nothing was damaged aside from the milk container. Still, I had no idea that a gallon of milk could go so far. But three of us managed to get the spill under control. The ice man cometh on Tuesdays! In our Wal-Mart in Waynesboro, the guy from Reddy Ice comes on Tuesday mornings to fill up the ice machines. And so it’s an excuse to be funny. I say, “The ice man cometh.” And it’s one of those things where it’s perfectly accurate. The ice man did cometh. And he bringeth ice. I asked the Reddy Ice guy one time how many people say “the ice man cometh” when he comes to do the ice machine. I found out that he hears that A LOT… practically at every stop he makes. Of course, if you are the ice man, you must cometh. And we prefer an ice man who bringeth ice. That way, we can selleth ice to the customers. Otherwise, though, today was a decent day. I got to rectify my pet peeves today. In other words, I got to neaten up and pull the trash out of the registers today. And dust what needed dusting. Nothing irritates me more than when I come to a register to work, and find that the people before me left me some “surprises” stuffed in weird places. And I always discover them at the most inopportune times, too. Maybe one day I’ll have a job where I have a desk that only I use, and so I won’t come to work and find little “surprises” in funny places. Katie and I are going to Lynchburg on Wednesday! Finally, Katie and I are going to take a trip somewhere. We’re going to hit three cities in one day: Charlottesville, Lynchburg, and Roanoke. We’re going to be hitting a few things for each person. 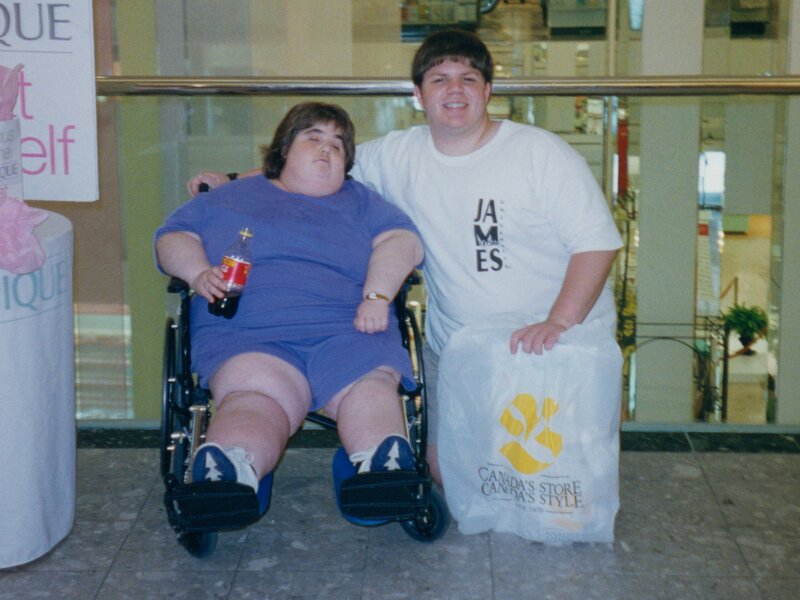 For Katie, we’re going to visit our friend Teri, who used to work with us at Wal-Mart, in Charlottesville, and then we’re also going to swing by River Ridge Mall, and also to visit our old manager, Steve, at the Lynchburg Wal-Mart. For me, I’m going to turn the whole day into a Life and Times set, plus I want to do Photography sets in downtown Lynchburg and possibly in Bedford. Then I also need a little “star time” in Roanoke, meaning it’s up to the Roanoke Star for us! For some reason, when I need to think or something, I like to get up somewhere really high, and then look down and survey the area below. And I can do this either in a natural setting, like on top of a mountain, or I can do this in an artificial setting, like at the top of a parking garage. Just as long as I can see a lot, and can look down and watch things going on. I’ve actually found that the top of the parking garage at Huntington fits this purpose quite well. In Roanoke, I find that place at the Roanoke Star overlook. And then near home, that refuge can be found on the Blue Ridge Parkway, looking down over the Nelson County/Albemarle County side, or over the Augusta County side. I prefer the Augusta County side, since I’m more familiar with it. On that side, you can see Stuarts Draft and Waynesboro. One time when I visited during the day, I even found Wal-Mart! So yeah, I like high places when it comes to unwinding.